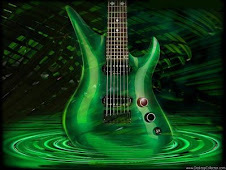 Peaking at #21 on the Billboard Top Hot Modern Rock Tracks chart in March of 2009 was DCFC's soulful first-hand account of the events that ravaged the West Coast just two years prior to the song's release. 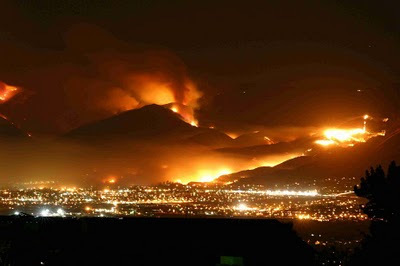 Beginning October 20, 2007 a series of wildfires began burning across southern California. 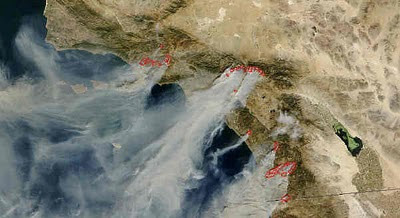 Seventeen fires raged hot and high enough to even be seen from space. In a state of emergency, California burned from Santa Barbara to the US-Mexico border. 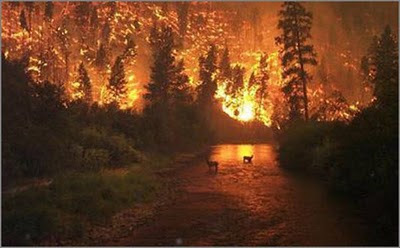 Thirty-two hundred homes and structures were destroyed as were 522,000 acres of land and forest. The fires left nine people dead and 85 injured, which included 61 firefighters. California has always had a "fire season" just as Florida has "hurricane season" and the Great Plains states have "tornado season". However, the fires that ravage California today burn much hotter than in previous years due to many reasons, including increased population. 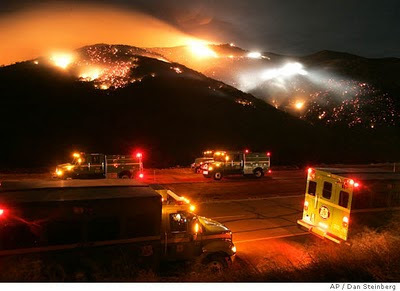 The 2007 blazes were due in part to a severe drought that SoCal was experiencing that year. Adding insult to injury were the hot, dry Santa Ana winds that blow across the state in late fall and early winter. This phenomenon is destructive enough to be described by one reporter as "the weather of catastrophe, of apocalypse". The Santa Ana winds are named after the Santa Ana Canyon. These vicious winds blow out across Southern California from the desert. While they form when the desert is cold, the winds are so hot and dry that as they blast across the landscape drying up vegetation. Once a fire starts, the wind fans the flames across the area and at the same time create more dry matter for the fires to consume. The winds during the fires of 2007 were clocked at speeds reaching 60mph and a total of 23 fires were counted. It is believed that the ignition of these fires began with power lines downed by the Santa Ana Winds. Just as hurricanes and tropical storms have names, so do the fires of the west coast. The "Witch Creek" fire of 2007 was the largest fire in California history. 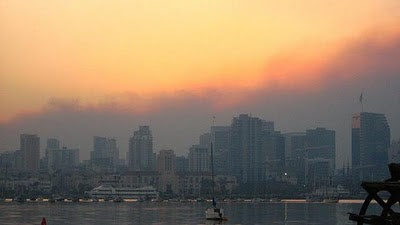 Firefighters feared that the two largest fires burning in San Diego county would merge into and cause more damage than the Cedar fires of 2003 (280,000 acres). While these two largest fires did not merge as feared, they still each caused more damage individually. Hundreds of thousands of regional residents were alerted to evacuate the area via Reverse 911, though the system was no match for the heat and flames, themselves, which drove many from their homes before they could be warned. Within two days of the emergency, over 500,000 residents were facing mandatory evacuation orders from 360,000 homes in San Diego county alone. All in all, over 900,000 people were displaced during the event, which was the largest evacuation in California history. The event was followed by frequent blackouts during which Mexico supplemented the area with electricity. As smoke filled the cities, concentrations of particulate matter, which are particles in the air that are small enough to embed themselves in lung tissue and perhaps even enter the bloodstream, reached unhealthy levels making the air unbreathable. Finally, by November 6, 2007 the fires were brought under control with the help of 2400 National Guard Troops deployed with 17,000 waiting in reserve and 100 National Guard Medical personnel. The DoD provided 12 fire engines and six crews from the Navy's Helicopter Sea Combat Squadron 85 were assigned to the Witch Creek fire. 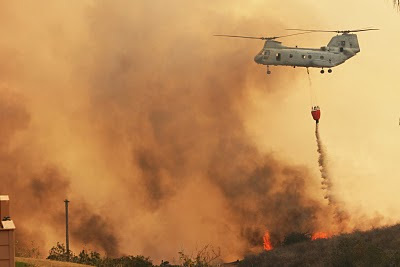 Marine Corps Air Station Miramar provided firefighting ground and air vehicles and personnel as well as a 7,000 gallon air tanker.